In 1961, President John F. Kennedy created the Peace Corps. It was the height of the cold war, and yet, this new organization was created “To promote world peace and friendship.” Since then, over 200,000 Americans have joined the Peace Corps and have performed their 2-year volunteer service in 139 countries. But the Peace Corps experience doesn’t end after 2 years. Returned Peace Corps Volunteers (RPCVs) have a shared experience that connects them to a community that continues to do good in the world. 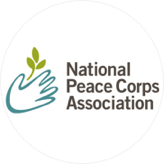 That’s where The National Peace Corps Association comes in. This independent non-profit connects and champions RPCVs and make sure their voices are heard. Burman explains why having their own exclusive site is crucial to their community. “A lot of our members have concerns about privacy, and don’t want to share their personal information on other social media sites.” Yet they feel comfortable in our members-only community powered by NING. The association still uses the reach of other social networks, including Facebook, Twitter, YouTube and LinkedIn, but their NING site is the core of their online efforts. It’s not enough to know your community, you have to be part of it–then you can be helpful in a way someone from the outside couldn’t be. The original mission of the Peace Corps, to promote peace and friendship, is still alive and well around the world–and now online, too.